(e to satisfy the criteria in subclause (1). 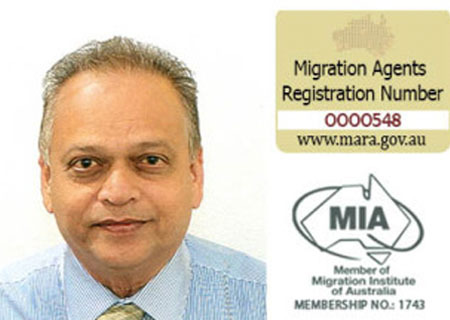 Public interest criterion (PIC) 4020, commenced on 2 April 2011 and enables refusal of a visa if the applicant provides a bogus document or information that is false or misleading. Applicants who are refused a visa because they do not satisfy PIC 4020 may be excluded for a period of three years from applying for another visa to which PIC 4020 applies. Both the decision to refuse (under PIC 4020) to grant a visa and the three year exclusion period on further applications are subject to the s65 delegate’s discretion, after the delegate has considered compelling circumstances that affect the interests of Australia, or compelling or compassionate circumstances that affect the interests of an Australian citizen, permanent resident or eligible New Zealand citizen. The implementation of PIC 4020 was initially applied to GSM visas, but has been subsequently expanded to apply to all Skilled Migration, visas and to all Business skills student visas and to various temporary work visas. applications made before 2 April 2011 that were not finally determined as of 2 April 2011. PIC 4020 has applied to student visa applications made on or after 5 November 2011.
made before 5 November 2011 but that were not finally determined as of 5 November 2011.
an employment reference in support of an applicant’s work experience claims. whether the information is relevant to any of the criteria the delegate may consider when making a decision on the current visa application, whether or not the visa decision is based on that information (PIC 4020(5) refers). that justify the granting of the visa. Whether there are compelling or compassionate circumstances will depend on the circumstances of the individual case. Submission of a bogus document(s) or incorrect information to Dept. of Immigration and Citizenship is a serious matter. It has been observed that many overseas students often come across situation(s) where their visas have been refused by Dept. of Immigration and Citizenship. Waiver provision does available but onus lies on visa applicant how far visa applicant defend doubts raised by Dept. of Immigration and Citizenship. It will be advisable for visa applicant to seek advice from an experienced registered migration agent to know options in such situations. 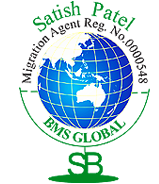 We at BMS GLOBAL have 16 years of actual practical hands on experience in processing visa applications at all stages of application and we have successfully deal with many applications of various backgrounds with respect to differing occupations and nationalities. We are aware of complexities and changing nature of Immigration Laws so that we can prepare you and your employer well in advance on how to face a tough situation if one arises or if something additional is demanded by Dept of Immigration. Please feel free to contact us anytime suitable to you and we can discuss with you your options and the costs involved in waiving condition 4020..